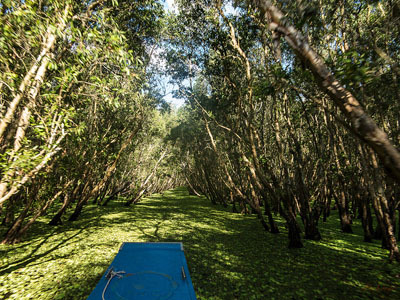 Located in Van Giao Commune of Tinh Bien District in An Giang Province, Tra Su Cajeput Forest covers an area of 845ha, belonging to the national specialized forest system in the western region in Southern Vietnam. It is an ideal place for researchers and those who love wild animals. Prior to 1975, the local natural forests were destroyed by the enemy’s bombs and became uncultivated areas. 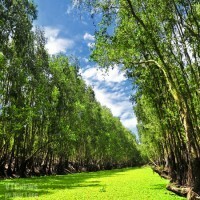 After the war, authorities in An Giang Province invested to reforest cajeput and build a 12km long, 4m wide and 4m high dyke system that helps prevent the area from being swamped during flood season. 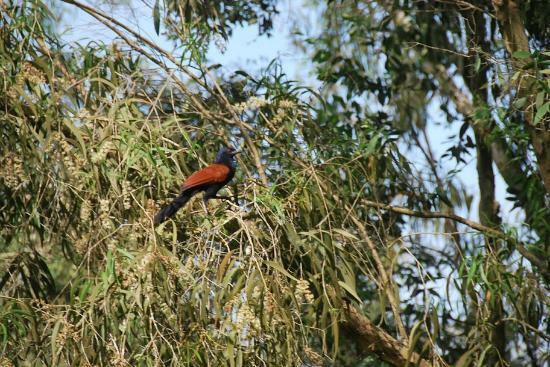 According to Tran Ngoc Rang, Head of the Tra Su Cajuput Forest Management Board, at present, cajuput from 5 to 25 years old are planted in the 713ha forest. With its ecosystem, the cajuput forest will become a cradle to create the food source for many animals, particularly species of birds. Here, there are 140 specified floral varieties with 22 varieties of trees, 25 varieties of shrubs, 10 varieties of vines, 70 varieties of grasses, 13 species of aquatic plants, 22 varieties of ornamental plants, 9 varieties of fruit trees and particularly many varieties of medicinal herbs of high value, 11 species of beasts belonging to 6 families and 4 orders, 70 species of birds belonging to 3 families and 13 orders, 2 rare and precious varieties of birds, including Giang sen (Mycteria Leucocephala) and Dieng dieng (Anhiga melanogaster), 20 species of reptiles, 5 species of amphibians and 23 species of fish, including Ca com (Chitala ornata) and Tre trang (Clarias batrachus) having the scientific value and being in danger of extinction. 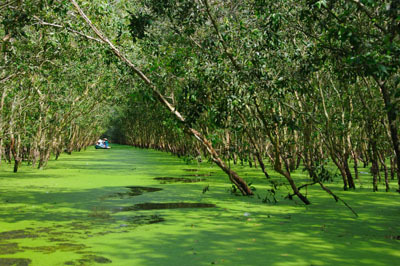 Tran Ngoc Rang said that in the coming time the management board will build a 10-15ha area to raise wild animals with the aim of developing the area into a garden with animals and plants of the flooded ecosystem in service of education, research and ecotourism. Since 1999 the forest has attracted tourists. However it wasn't until 2005 tourism activities officially took place. The Province invested 18 billion VND in building infrastructure to serve the management and protection of the forest. 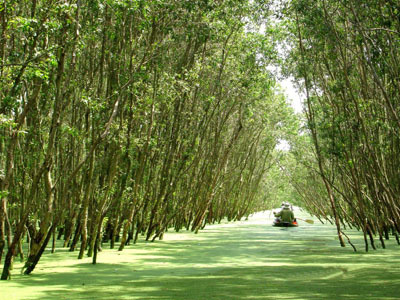 Visiting the area, tourists will have a chance to behold the beauty of the forest with the remaining vestiges of rivers, canals, etc., and relax among wild nature for Vietnam travel. Apart from the significance of preservation and economic value, the area also boasts many unique cultural features as it is the home of the Kh’mer and Kinh people who practice several traditional handicrafts, such as brocade weaving, silk weaving, cooking Thot not (Borassus flabellifer) sugar, distilling cajuput essential oil, raising bees for honey, etc. With its beautiful scenery and ecological value, the Tra Su cajuput forest annually attracts over 10,000 domestic and foreign tourists and researchers.